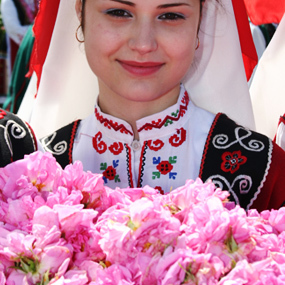 It is extracted from the Kazanlak Rose/Damask rose (Rosa Damascena Mill) by water-steam distillation. 1kg rose oil (otto) is obtained from about 2 000 000 fresh flowers. in metal containers at 0,5kg; 1,0kg; 2,0kg; 5,0kg and 10,0kg each. 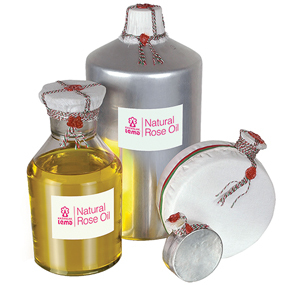 in copper tubes (traditional, authentic vessel for containing rose oil) at 0,5kg; 1,0kg; 2,0kg; 5,0kg and 10,0kg each. 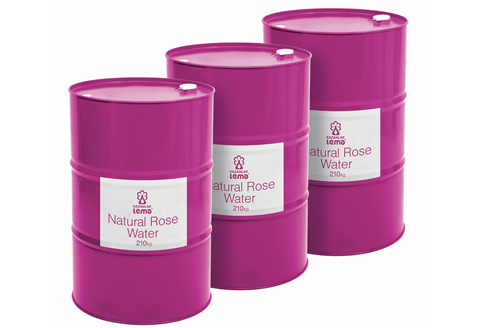 It is extracted from the Kazanlak Rose/Damask Rose (Rosa Damascena Mill) by water steam distillation. One ton (1000kg) rose water is obtain from circa 1 000 000 fresh flowers. Dried petals from Kazanlak Oil Rose/Damask rose (Rosa Damascena Mill). Method: drying in low-temperature dryers. Distillery - Kazanlak, South ring road.